We all need an extra 15 minutes of snooze time. Although breakfast is the best meal of the day, sometimes you just don't have 30 minutes to make and enjoy a perfect spread (or, you forgo brekkie for more sleep -- totally understandable). Well, if you love breaking the fast but ain't got the time, breakfast muffins are the answer. 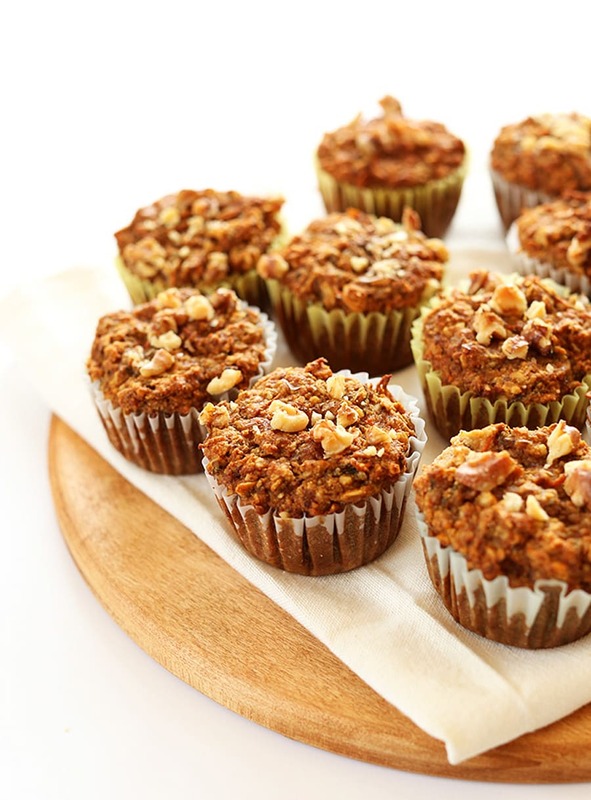 Breakfast muffins are basically normal muffins with extra fruit, nuts, nut butters, whole grain flours, and even veggies. All you need to do is bake a batch on the weekend and they're ready to go for the week ahead. Whether you prefer a sweet or savoury start to the day, here are 10 breakfast muffin recipes. 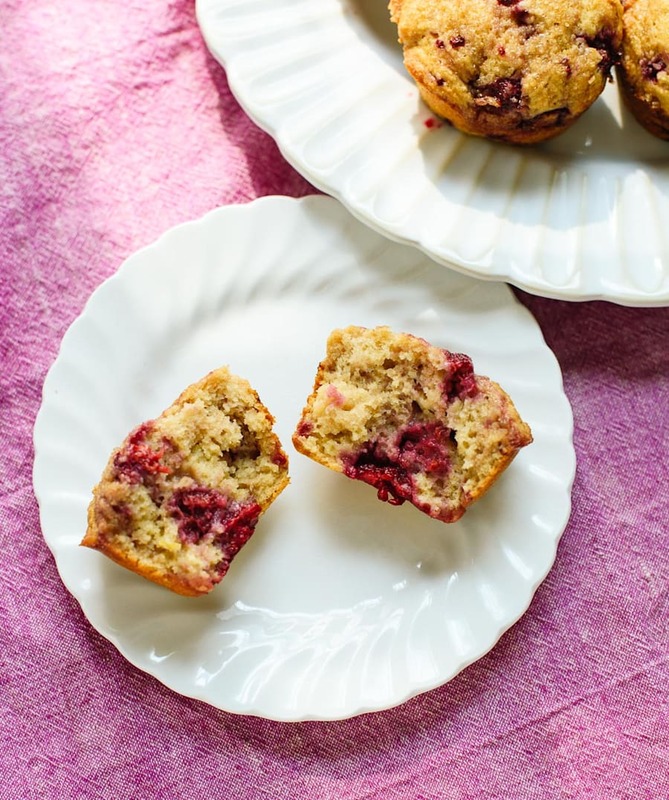 These fluffy, whole grain and maple-sweetened muffins are what breakfast dreams are made of. 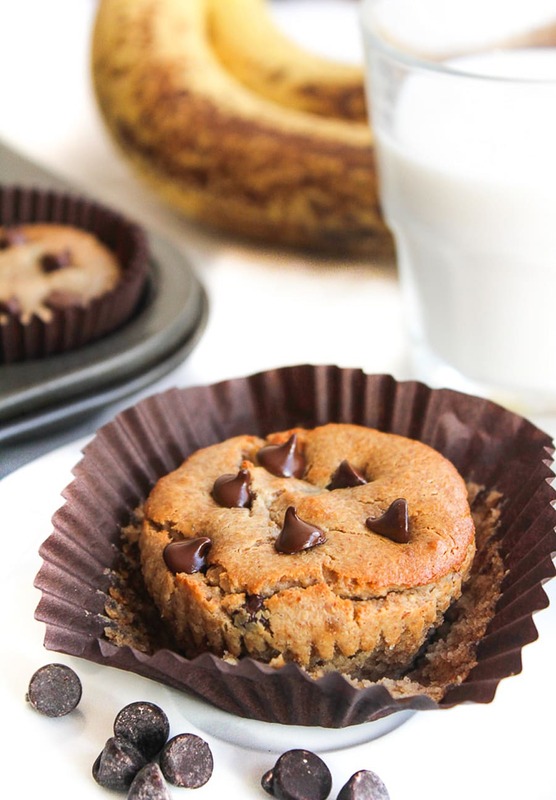 They're packed with ripe bananas, warming cinnamon, oats and vanilla, and are super adaptable for those who are gluten free, nut free, egg free or vegan. 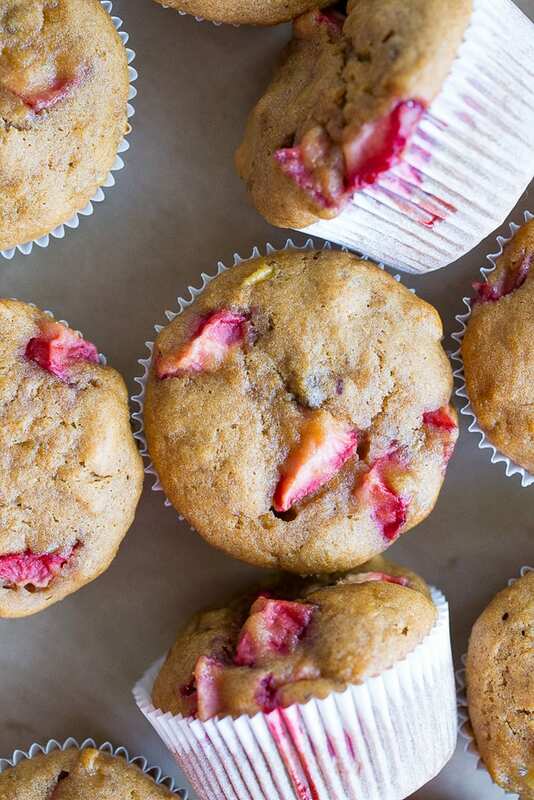 This healthy recipe uses nature's sweeteners -- banana, apple and carrot -- to create perfectly light, fluffy, wholesome and sweet muffins. And you only need one bowl and 45 minutes to make them. Plus, they're gluten free and vegan. 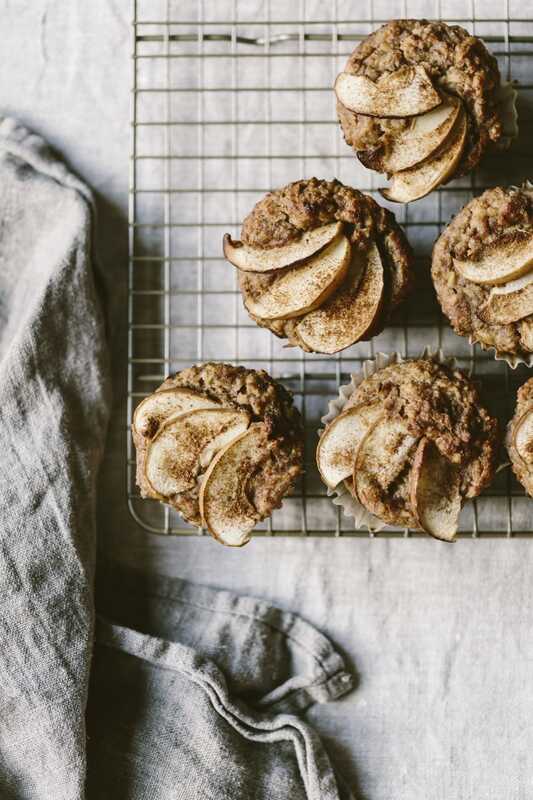 Apple and cinnamon is the most comforting sweet combo, and these muffins ooze cosiness and warmth. 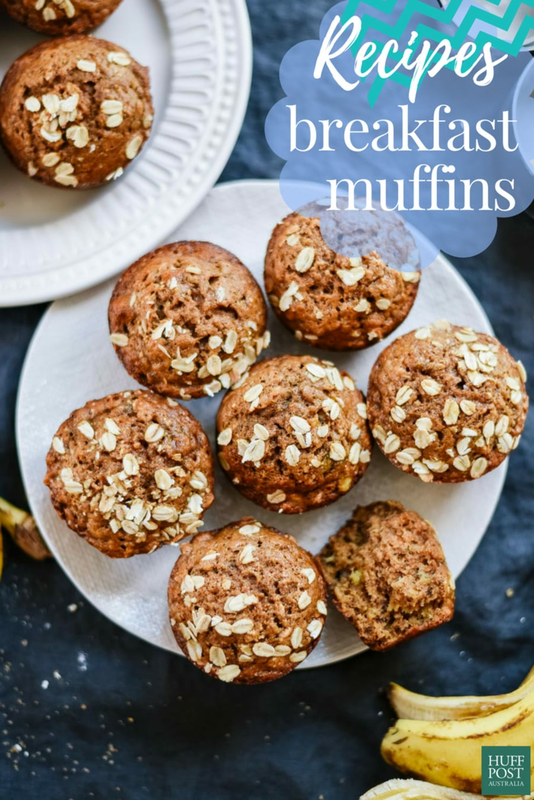 The dairy-free breakfast muffins are full of ripe apple, applesauce and cinnamon, as well as wholemeal flour to keep you full until lunchtime. 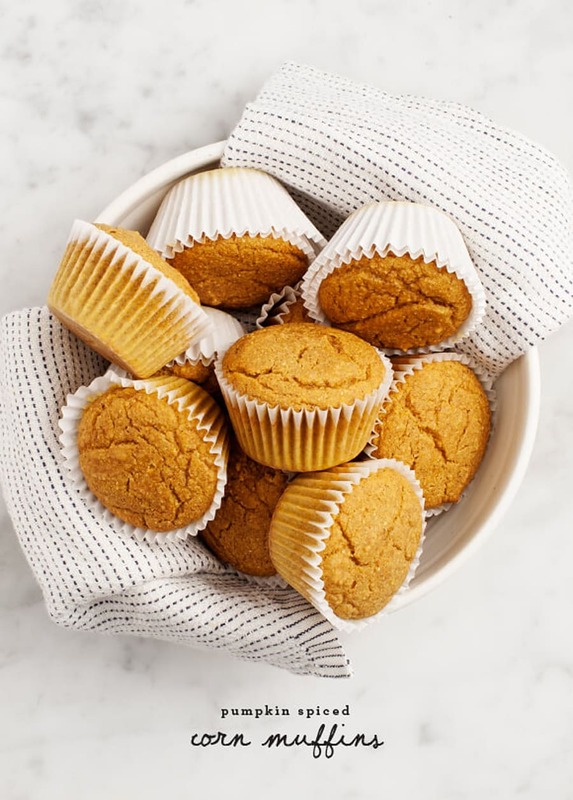 If you love polenta and the way it sticks to your ribs, try these corn muffins with creamy pumpkin and nutmeg and cinnamon. Not only are these muffins warming and hearty, but they contain sneaky veg. Win win. Start your day with zesty, raspberry studded muffins made with 100 percent whole grain flour, yoghurt and natural sugars. Pair with a morning tea or coffee and you're set. If you're the type of person who unashamedly enjoys pizza for breakfast, but are trying to stay on the healthy side, these pizza muffins are for you. 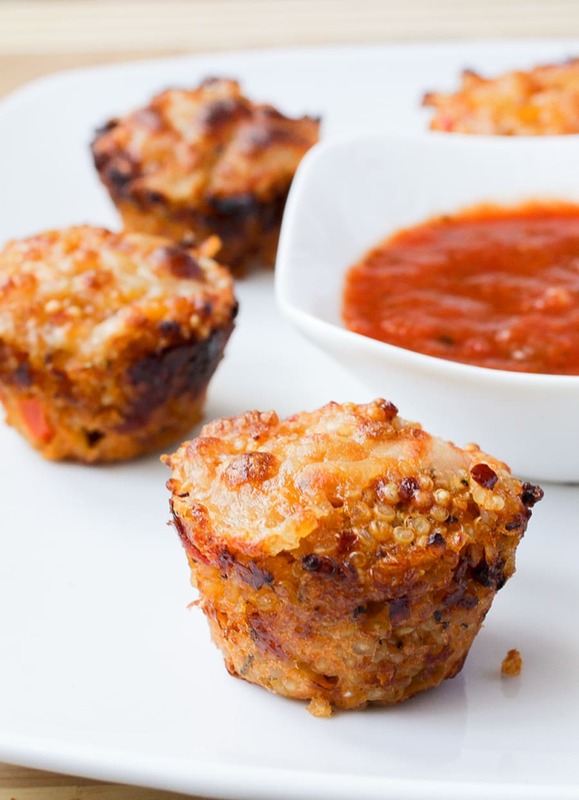 With a high protein quinoa base, these pizza bites are packed with cheese, marinara sauce and Italian herbs. These delicious gluten-free muffins combine two of the best fruits to make gloriously light, fluffy and sweet breakfast muffins. Pack one in your bag for brekkie at work, or enjoy as dessert. Or both. 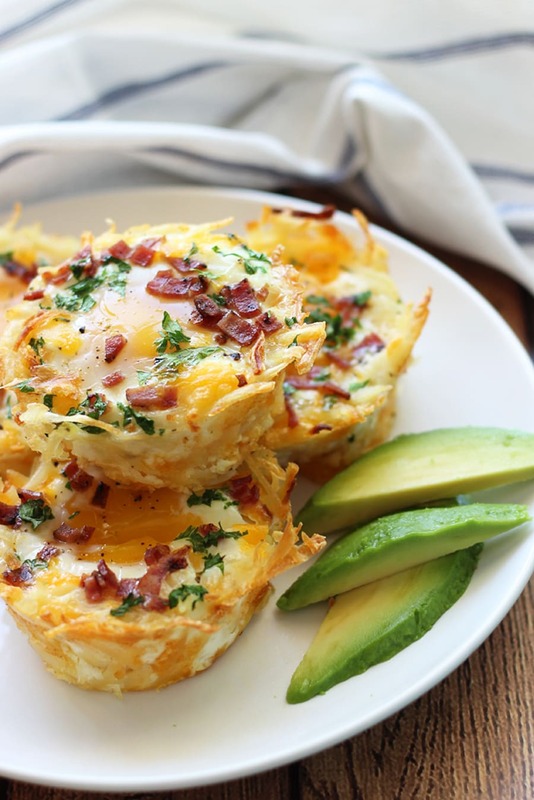 Bring your favourite big breakfast on the go with these hash brown nests filled with gooey eggs and topped with bacon. Drooling yet? If you like the idea of throwing ingredients in a blender and quickly making muffins, try this recipe. Made with almond butter, banana, vanilla and almond milk, these muffins only take five minutes of prep and 10 minutes in the oven. 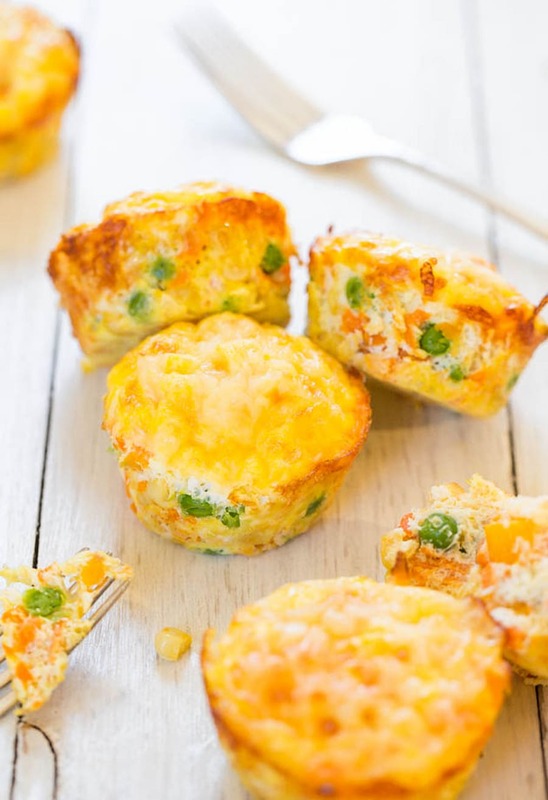 Channel McMuffin vibes with these healthified egg muffins filled with veggies and cheese. They're only around 150 calories each, making them a tasty mid-morning snack, or for brekkie if you grab a couple.